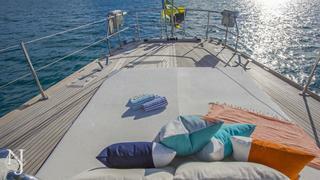 The 100-foot (30.48m) luxury sailing yacht JUPITER is a proven world cruiser ready for her next adventure on the seven seas. 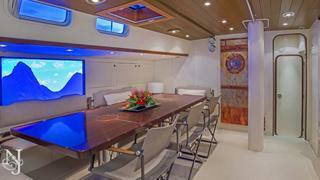 This custom-built world-cruising luxury sailing yacht was designed by the renowned naval architecture firm Giorgetti & Magrini as one of the first sailing yachts capable of continuous circumnavigation while providing the utmost comfort on board. 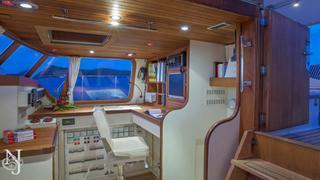 The luxury sailing yacht’s interior ensures luxury and relaxation. 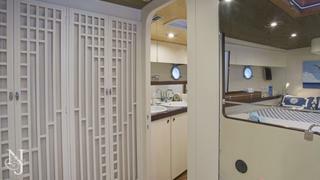 Its recently updated indoor spaces have mid-century modern styling complemented with colorful accents throughout, adding to the light ambiance on board. 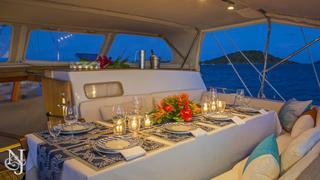 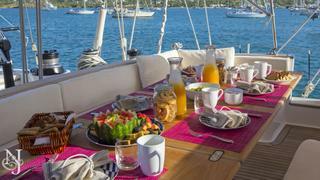 JUPITER’s excellent amenities and spectacular layout make her ideal for families or as a charter yacht. 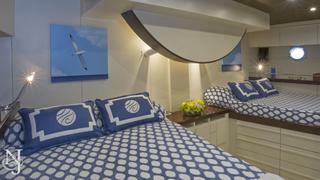 JUPITER offers accommodations for up to eight guests in four inviting staterooms. 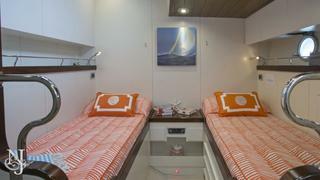 These accommodations include a lovely master, a VIP and two twins — each stateroom is complete with its own en-suite bath with shower stall. 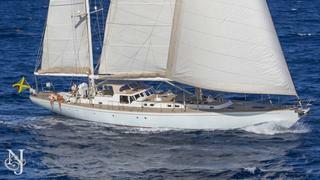 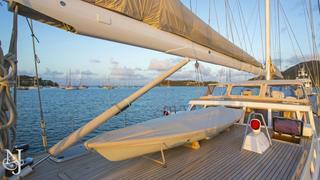 The sailing yacht showcases classic exterior styling and outstanding deck spaces for guests to enjoy. 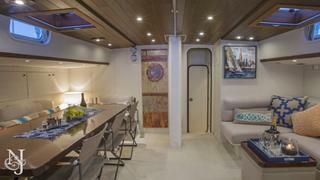 JUPTIER ‘s large covered cockpit provides the perfect spot to dine alfresco while underway or at anchor and her large aft sunpad allows one to become sun kissed while enjoying the scenery. 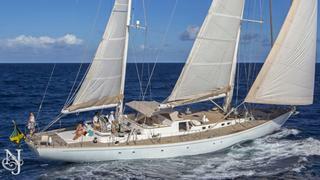 From 2017 into 2018, the sailing yacht received a refit that included new Navtec rod rigging, Stac Pac systems replaced, its genoa furler rebuilt, new generators, new batteries, interior update and much more.